Keeping up with the theme of placing fantasy players in tiers, today I’ll be covering the wide receiver group. Next week I will continue my “tiers segment” with the tight end position as well as ranking the top ten kickers and defenses as I see them. In two weeks I will finish my tiers off with the quarterbacks, along with sleepers for fantasy football. Once we are a few weeks into preseason games I will do a recap of my tiers, and I’m sure that there will have been some movement. Now on to the main attraction. Six times. Six times he was tackled at the one yard line last year. If you were getting cute and thinking of taking another wide receiver ahead of Megatron, think again. He is the focal point for a team that throws a ton, and it doesn’t hurt that he is one of the best receivers to ever play the game. Dez hit his stride in the last half of the season, and it became apparent he is an elite receiver. I’m looking for the Cowboys to lean on him, especially when they’re in shootouts due to their lousy defense. If he can keep up his production all year he might reach 1,400 yards and 15 touchdowns. Brandon Marshall caught 118 receptions last year, which was tied for second with Wes Welker (behind Calvin Johnson’s 122). With new head coach Marc Trestman leading the attack the Bears will be throwing more. Marshall is a lock to get +115 receptions, and he’ll make them count. A.J. Green scored a touchdown in nine consecutive games last year. He did have a dry spell for a few weeks, but with the Bengals’ new offensive weapons (Tyler Eifert, Giovanni Bernard, and whoever emerges as the number two receiver) defenses should be kept at bay giving Green more open looks throughout the season. Thomas had 1,434 yards and 10 touchdowns last year. Last season was his big breakout season, this year I look for him and Peyton Manning to make him a household name across the country. I believe this guy is still perfecting his role and refining his skills, and with a teacher like Manning he may see a lot of improvement. Jones struggled with a few injuries last year but still ended up with 1,198 yards and 10 touchdowns. He missed one full game, but I can remember multiple times of him leaving the game for a quarter, only to come back out and light his opponents up. The Falcons will have a well balanced offense with Julio, Tony Gonzalez, Roddy White, and Steven Jackson, but Jones has become Matt Ryan’s go to receiver, so his production will most definitely grow. Carson Palmer. Bruce Arians. Michael Floyd. Eric Winston. Rashard Mendenhall. Those are all reasons to look Larry Fitz this year. The guy is hungry for some wins. He wants to carry this team. There are no stats or anything to give good reason for him being in this group, but there is a strong chance he could finish as a top five wide receiver. In math terms, Palmer + Arians+ Fitz= Many yards and many touchdowns. My prediction is he tops 1,200 yards and has 14 touchdowns. Cruuuuuuuz is back in town! Vic had over 1,000 yard and 10 touchdowns last season, and that’s a reasonable expectation for this year as well. The Giants have one of the most well-rounded offenses in the league so no defense will be able to lock down #80. Eli will spread the ball around to receivers like Vic, Hakeem Nicks, Rueben Randle, and new tight end Brandon Myers, and the tandem running attack of David Wilson and Andrew Brown will keep defenses on the toes. I look for Cruz to catch around 7-10 passes a game and contribute consistently for fantasy players. Aaron Rodgers recently said that he expects Cobb to catch 100 passes this year. SOLD! Cobb is a playmaker that the Packers utilize in many, many ways. They like to line him up in the backfield, in the slot, and on the outside, and Rodgers loves to throw to him. Cobb had 954 receiving yards and 8 touchdowns last season, and I’d look for that to increase to 1,100 yards and 10 touchdowns (plus some extra rushing yards). Andre was once locked in as a first round pick in fantasy. A few things are building up against him to knock him down this far in the last few years: 1) Arian Foster is the bell cow for the Texans’ offense, 2) he is now 32 years old and is falling out of his prime, and 3) when the Texans get into the red zone they do not throw the ball. Johnson had only 4 touchdowns last year. Maybe that number will increase up to 7 or 8 this year, but that is his ceiling. Albeit with 1,600 yards attached to that number, that’s a great ceiling. The other half of the Falcons wide receivers is still a major fantasy receiver. White posted 1,351 yards and 7 touchdowns last season (compared to Julio’s 1,198 yards and 10 touchdowns). White is less dynamic than Jones, and will not be as utilized on the offense as Jones was with reverses, screens, and such, but he gathers up yards like crazy. The two receivers definitely play off of each other’s strengths well. Vincent Jackson only caught about half of his targets (72 out of 147), but he was obviously being targeted down field more due to his higher average yards per catch which was 19.2 (second most was Cecil Shorts and Danario Alexander at 17.8). He had 1,384 yards in 2012 on 72 catches. That’s pretty outstanding when other receivers are needing at least 90 catches to reach that same plateau. Peyton Manning once made Brandon Stokely and Austin Collie very usable fantasy receivers. Enter Wes Welker. Manning and Welker will form a new tandem in the league similar to Brady and Welker. I think Welker may be more of focus with Manning running the show, and even though the Broncos have Demaryius Thomas and Eric Decker already, I think Wes catches over 110 balls this year and puts over 1,100 yards. Due to injury, Nelson only played 12 games last season. He tallied up 745 yards and 7 touchdowns though. In 2011 Nelson played all 16 games and had 1,263 yards and 15 (!!!) touchdowns. I do not expect him to have 15 touchdowns even if he stays healthy all year this year. My expectation is around 1,100 yards and 10 touchdowns. Nicks is the number one receiver for the New York Giants, even if your friends tell you that it’s Victor Cruz. Nicks has the ability to make incredible plays, but he lacks the ability to stay healthy all year. Nicks played injured for over half of the season in 2012 and it showed. The Giants are even taking it slowly with him right now in training camp. In 2012 he only played in 13 games, he had 692 yards, and 3 touchdowns. His preseason form will really let us know what to expect come September. Amendola is the fantasy poster child for high risk, high reward. He is Tom Brady’s number one wide receiver and replaces Wes Welker, who caught 118 passes from Brady last year. As long as he can stay healthy, which is a huge question mark, he will produce number one fantasy receiver stats. I just don’t know if it’s a risk I’m willing to take. Pierre Garcon played with a foot injury last year (when he actually did play). He only played in ten games and had 644 yards and 4 touchdowns. He showed great chemistry with RGIII, and Mike Shannahan made a point to get Garcon the ball. If he can stay healthy before my draft he’s a mid-round receiver I’m willing to take a flier on. The Chiefs have had a lot of change this offseason. Bowe now has pass-happy head coach Andy Reid calling the plays, and Alex Smith is his new QB. The Chiefs have few options when it comes to receivers. Tony Moeaki, Jonathan Baldwin, and Dexter McCluster have been underwhelming. It’s up to Jamaal Charles and Dwayne Bowe to pick up the slack. I think the stats say it all. I’d take that production in the fourth round and feel great about it. Bruce Arians is gone from the Colts and so Andrew Luck may not be throwing it deep all day. Reggie Wayne was highly targeted last season with 194 targets (behind only Calvin Johnson), and that is a sure bet to decrease. The Colts have said that they are going to focus on the run, and with another offseason on the young receivers’ resumés T.Y. Hilton, Coby Fleener, and Dwayne Allen are sure to be more involved. Wayne will be good, just don’t expect the same as last season. Steve Smith gained 1,174 yards and 4 touchdowns last season, and nothing has changed with the Panthers offense, so I do not expect anything to change with Smith’s stats. In 2011 he did have 200 more yards and 3 more touchdowns, so know there is room for improvement, just not too much. The Broncos have 3 good receivers in Demaryius Thomas, Decker, and Wes Welker. Decker is still number two on that list, but the rock will definitely be spread around more. He may still get 1,000 yards this year, but I do not see him getting anywhere close to the 15 touchdowns he had last year. Cecil Shorts biggest downfall is that he plays for the Jaguars. His quarterback will either be Blaine Gabbert or Chad Henne. Luckily, Maurice Jones-Drew is coming back healthy this year so defenses will have to stop Pocket Hercules first, and Shorts may be able to take advantage of that. Shorts averaged 17.8 yard per catch, behind only Vincent Jackson. 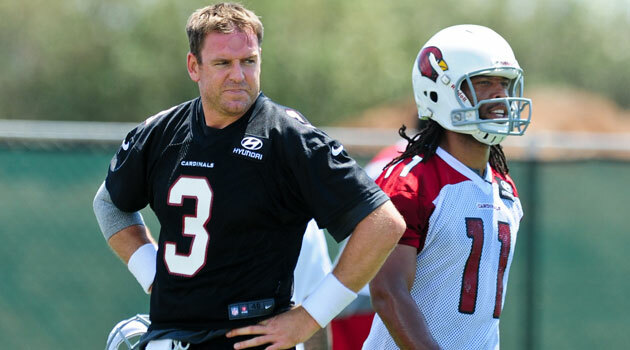 He also trained heavily with Larry Fitzgerald this offseason and has looked great in camp. If he had a good QB I’d put him in tier three. Steve Johnson had 1,000 yards and 6 touchdowns last season, but is changing offensive systems, head coaches, quarterbacks, and even the receivers around him are changing. There are a lot of unknowns here, but his talent is real. Hopefully whoever emerges as the starting quarterback is competent enough to get Johnson the ball often. As Dez Bryant emerges, Miles Austin falls into the limelight. Austin is the second and sometimes third option behind Bryant and Witten, but still produces well. He had 943 yards last year and 6 touchdowns. He was only targeted 118 times in 16 games, but he is going late in drafts and is definitely a good plug-and-play receiver. Josh Gordon is gaining a ton of hype this offseason as he really emerged on the Browns during the second half of last season and his new coach, Rob Chudzinski, likes to throw deep. Gordon makes a living going deep. He will be suspended for the first two games of the season, but after that I expect the Browns to lean heavily on Gordon in their passing attack. Feel free to leave your comments and let me know how you disagree or what you enjoyed about this post. Thanks for reading and make sure to come back next Thursday for my tight end tiers and my defense and kicker rankings!